No one keeps carbon nanotubes down -- especially not these guys. The always popular allotropes have been enlisted by researchers at Rice University to create a composite material that gets stronger under pressure. When combined with polydimethylsiloxane, a rubbery polymer, the tubes form a nanocomposite that exhibits self-strengthening properties also exhibited in bones. During testing, the team found the material increased in stiffness by 12 percent after 3.5 million compressions. Apparently, the crew is stumped on why it reacts this way, but is no less eager to see it working in the real world -- discussion is already underway to use the stuff as artificial cartilage. And here we thought aerogel was cool. Full PR after the break. 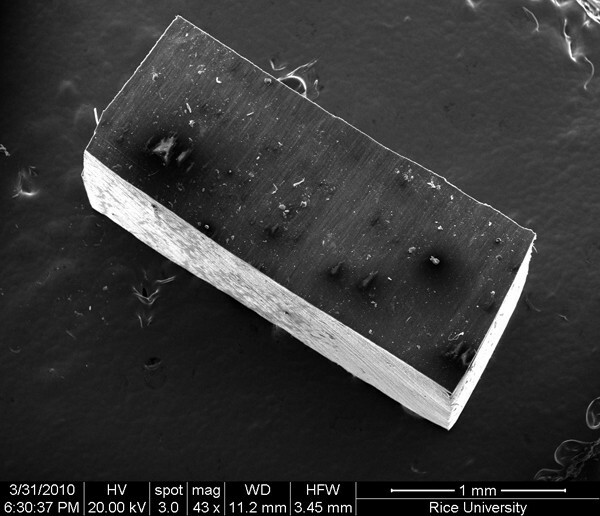 Self-strengthening polymer nanocomposite works best under pressure originally appeared on Engadget on Sun, 27 Mar 2011 06:13:00 EDT. Please see our terms for use of feeds.